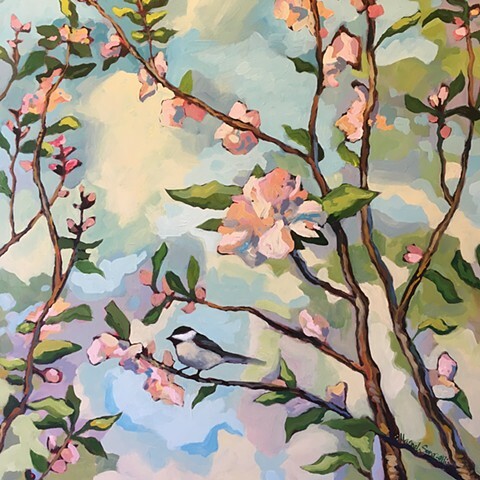 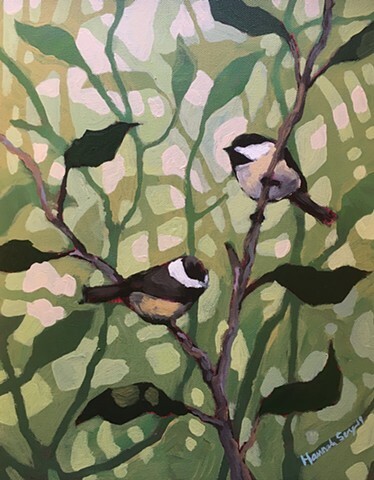 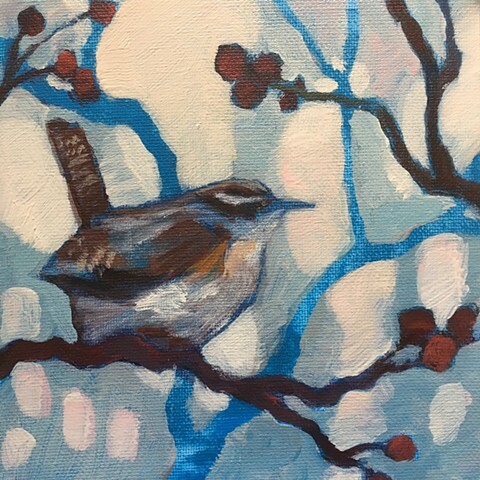 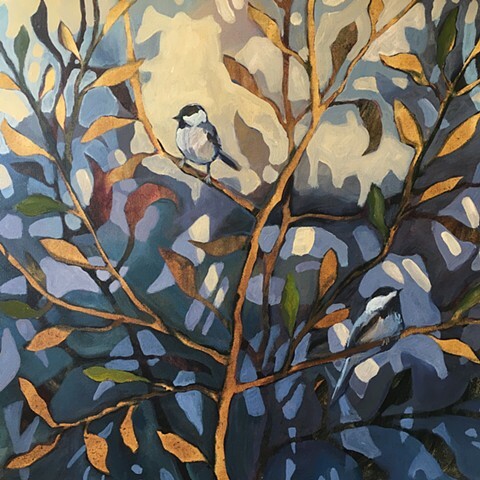 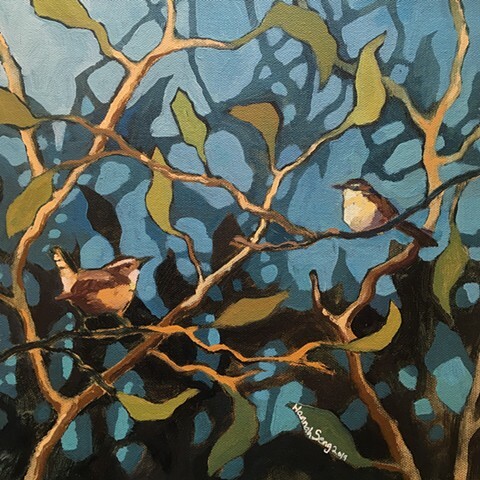 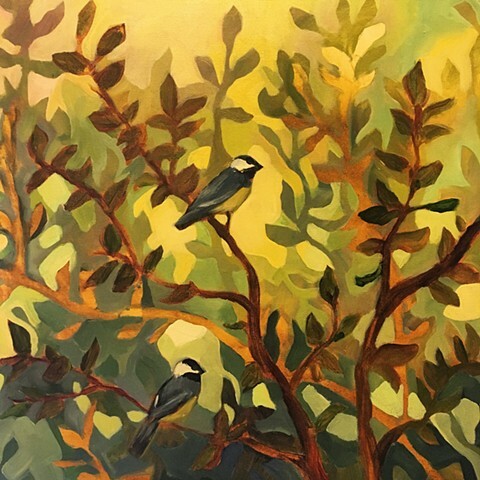 These bird paintings explore the relationship of light, color, & shape while using the birds I see every day from my home in Western North Carolina. 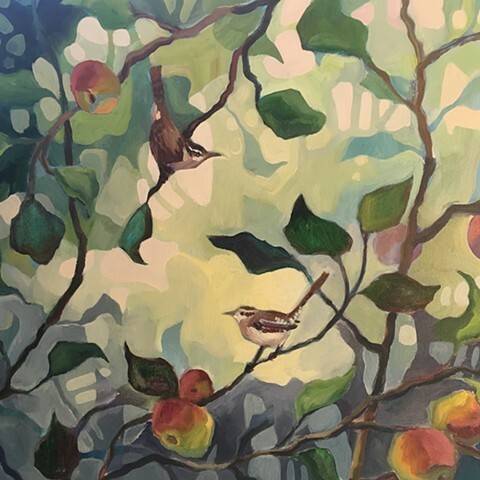 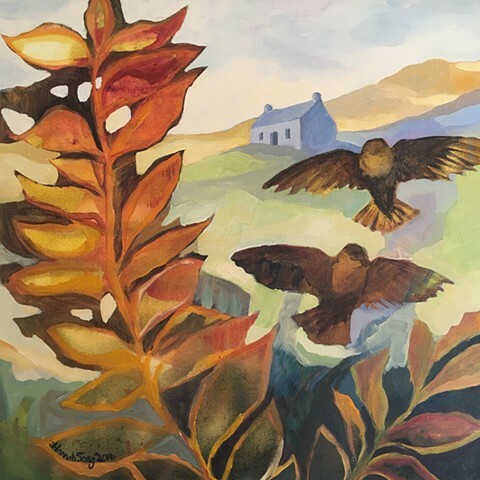 The environments around the birds are imagined, but the birds & their surroundings are used to suggest a narrative one might imagine unfolding in reality. 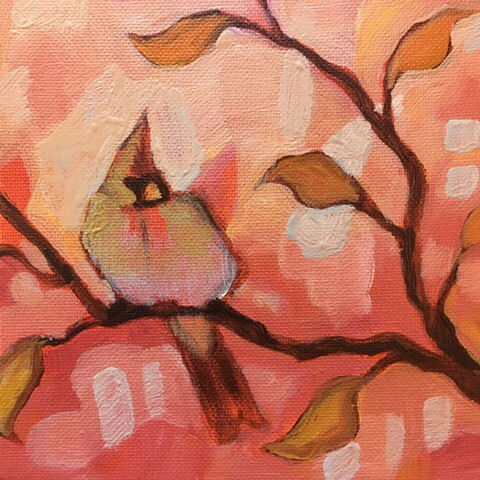 Tell Me, Fair Bird, How Is It You Sing?